At the final class of the Chester Library’s 2018 Summer Reading Program on Aug. 8, minstrels Helene Lemnah and Marsha Roby perform music on their respective recorders as each attendee is officially announced as they enter the library. 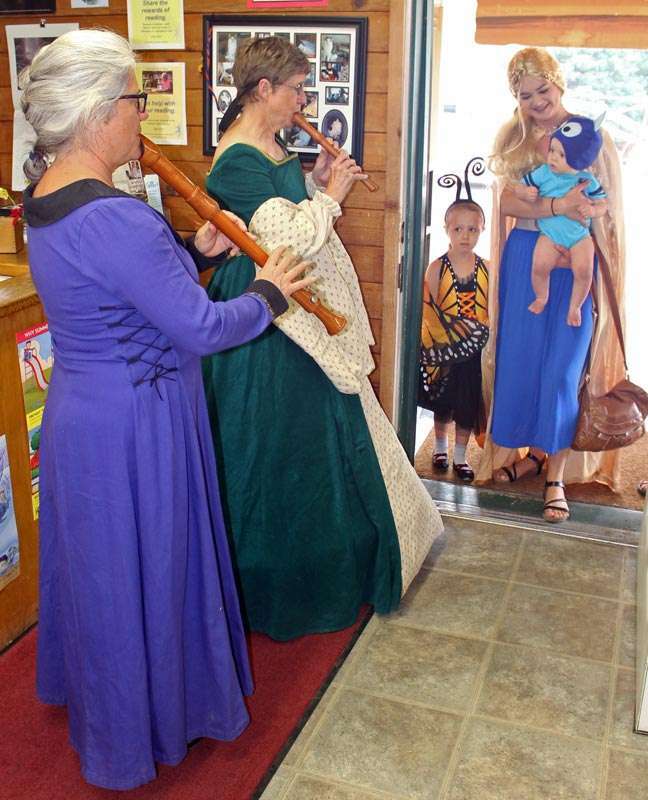 Under the theme: “Reading Takes You to the World of Fantasy,” children and their parents were encouraged to dress up in their favorite fantasy costume, like Heather Upton with Julianna, 5, and 11-month old Luke. 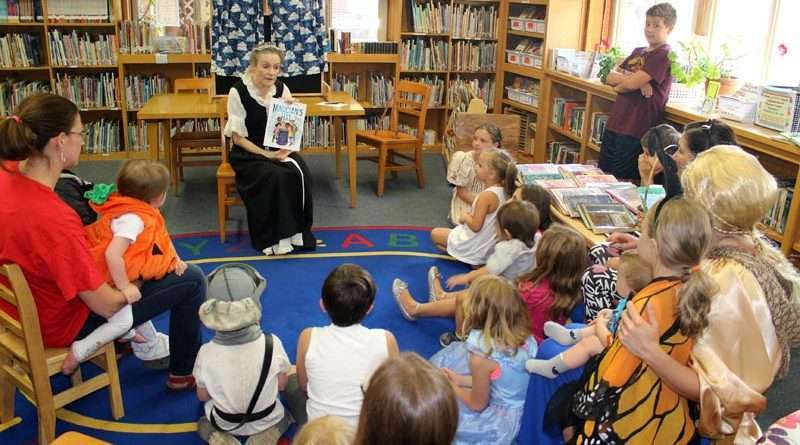 The grand finale for Chester Library’s 2018 Summer Reading Program was held Aug. 8, under the theme: “Reading Takes You to the World of Fantasy,” in which children and their parents were encouraged to dress up in their favorite fantasy costume. 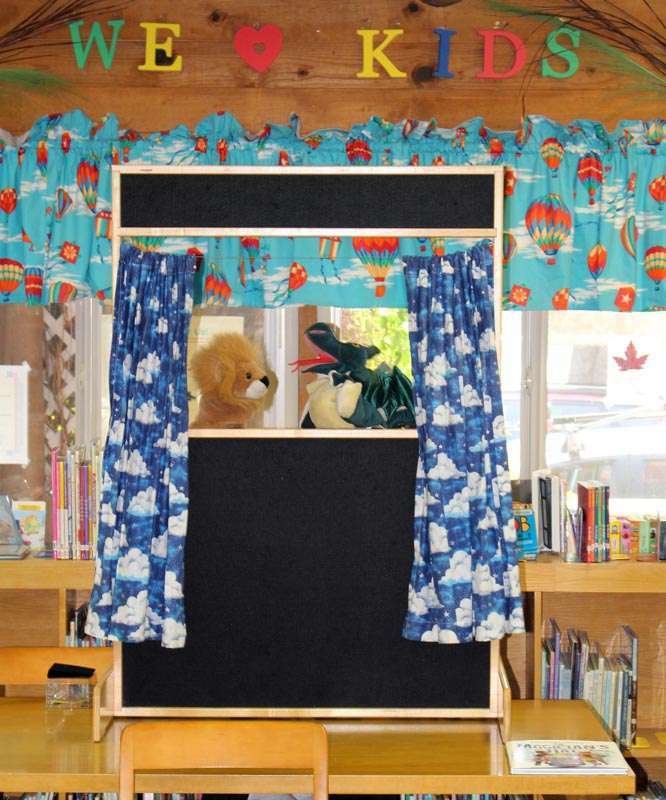 The mid-morning program — the last of the year — was well attended, with Chester Branch Library Assistant Lori Metcalf moderating the event by first reading “The Magician’s Hat” to the kids, followed by a puppet show. 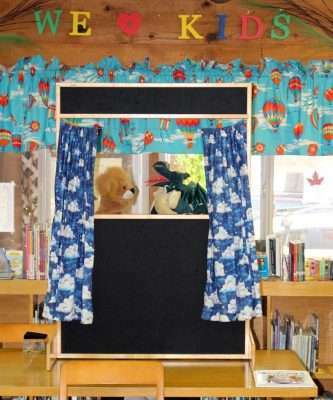 Metcalf said the Plumas County Library 2018 program, suitable for children ages 5-12, featured an overall theme titled, “Reading Takes You Everywhere,” and, depending on the class, includes music, singing, crafts, special guests, and refreshments. A number of age-appropriate fantasy books were also on display that were available for the children to check out. The reading program was designed as a reading challenge that starts with kids receiving a starter pack that includes a free book, a reading log to keep track of what they’re reading, a couple of bookmarks, and a pencil to record how many pages they’ve read. Kids 7 or under received a free children’s book for every 50 pages they read during the challenge, while those who are 8 and older earned a free book for every 100 pages they read. Next year, starting in June, the program will once again be offered with brand new themes. The Chester Library is located at 210 1st Ave. For information, call 258-2742.